Your makeup bag falls off the counter, your elbow swipes a blush to the floor, or your clumsy hands just can't hang on to a face powder. Its ok, we've all been there. The heartbreaking feeling when you see a smashed compact is a nightmare and usually leaves makeup unsalvageable. In attempts to fix broken powders in the past, nothing seemed to have long lasting results. I decided to try again when my beloved mini chocolate soleil bronzer took a strong blow as I was packing up some makeup for a weekend away. What I missed out on doing in the past is actually "pressing" the powder back into the pan. It isn't called pressed powder for no reason! Although these 10 steps do take a considerable amount of time, if the product is pricy, new or has sentimental value, I would recommend giving this DIY fix a try. 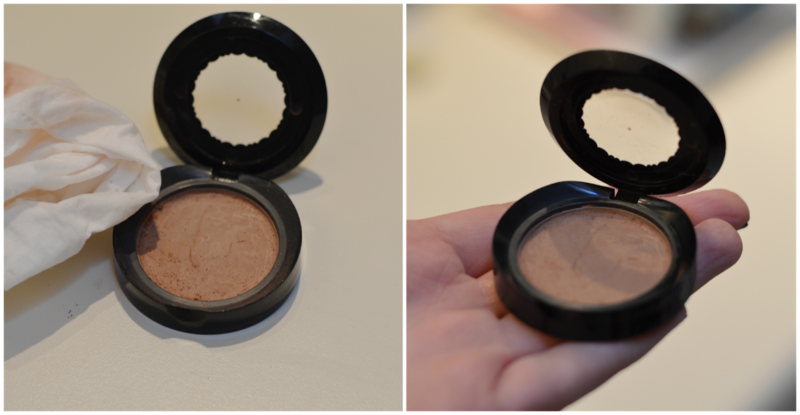 Take a look at how I successfully managed to put my bronzing powder back into its compact, via the images linked below. Step1: empty the dry powder into a small bowl and clean out the compact using warm water and a little bit of mild soap, if necessary. I used an old toothbrush (read: sanitized in the dishwasher) to scrub off the powder left in the hinge. 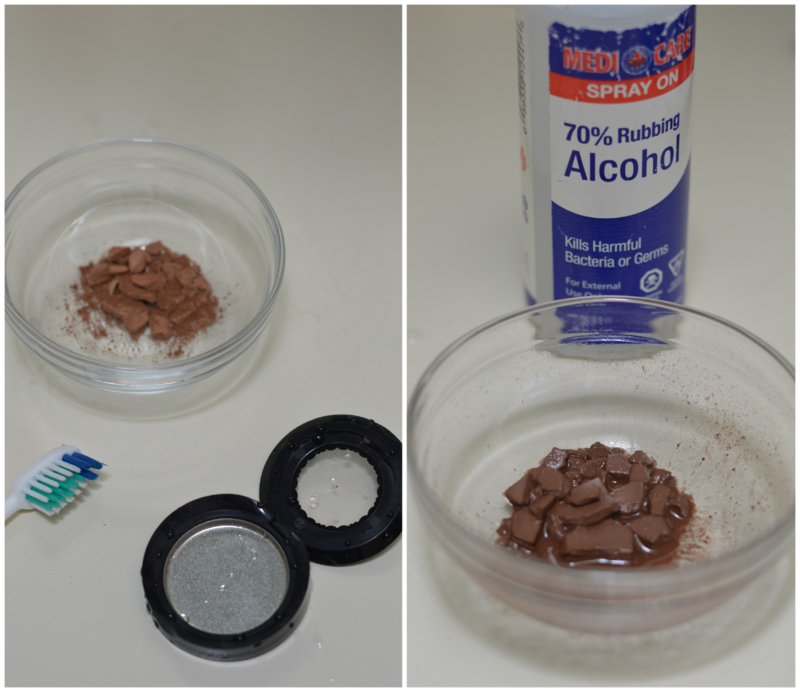 Step2: Crush up the larger chunks of product into a fine powder (I forgot this step, no big deal though) and add rubbing alcohol to create a paste. I like using a spray bottle since pouring the alcohol can sometimes add too much. Add only a small quantity so you do not overfill the compact in Step3. Step3: Using a small spatula, mix up the powder and alcohol until it becomes a paste, with no chunks. Pour the paste back into the compact. Step4: Gently tap the compact on a counter to evenly distribute the product into the pan. Note that the more alcohol added, the more product wasted due to over-fill. Let the compact sit out, open, untouched for around 3 hours, depending on the size of the product and amount of moisture required to evaporate. Step5: When the product is relatively dry to the touch, meaning it does not cling to your finger when placed on the surface, place a sheet of tissue on top of the product and gently start to press down. 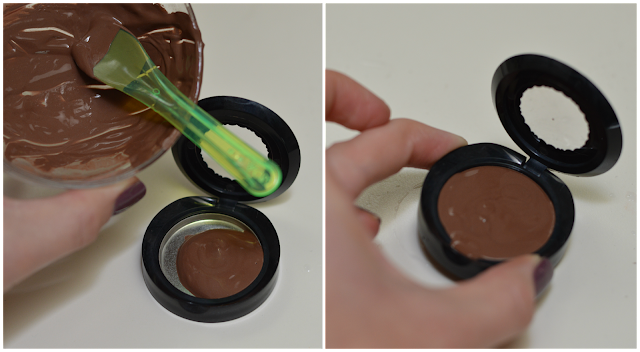 If you notice that the powder is still very moist and moves a lot when touched, leave for a few more minutes to dry. If not, continue to press with considerable pressure. I used the flat lid of a lotion bottle to get right around the circumference of the pan. A coin will work also. As you can see, excess alcohol is being absorbed by the tissue. this will begin the "pressing" of the powder so that it does not crumble when your brush goes into it. Step6: Add one or two more sprays (or drops) of alcohol on the surface of the product to even out any lumps and bumps that may have formed in the pressing process. Feel free to repeat pressing and smooth out the surface with a finger. 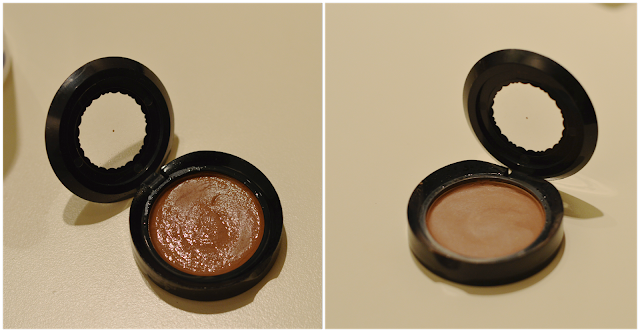 Step7: Leave the compact to completely dry, for a few more hours (varies) or overnight to be extra careful. The surface of your powder can form a hard layer in the pressing/smoothing phase, especially if you transfer oil from your hands to the product. I like to use a clean spooly brush (available at Sephora or in packs at drugstores) to gently scrape off this hard surface layer. You can also use an old *clean* toothbrush to do this step. 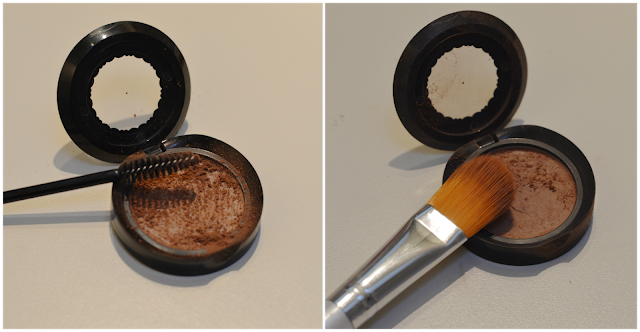 Step8: Use a clean makeup brush to sweep away the powder scraped off the surface. Step9: Use a wipe or damp tissue to clean around the edge of the compact. Step10: Enjoy! With caution. Although this is not a fail-proof method and your compact will never be truly "good as new", it does do the best job at pressing the product back into its former shape. It is not going to be as strong as before! 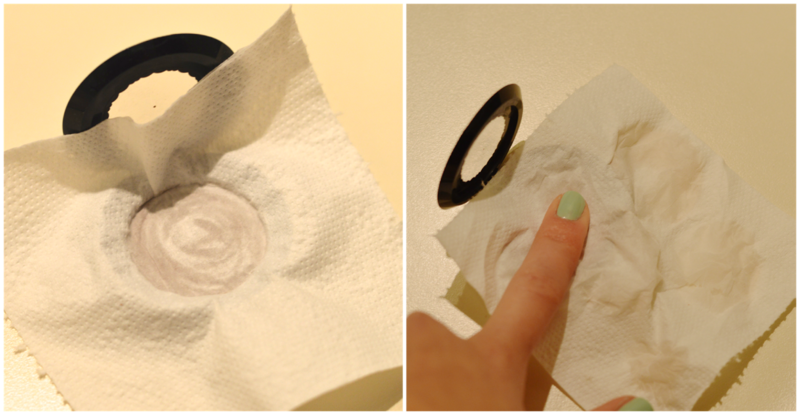 I hope this DIY helps when/if you have a makeup casualty. And take note, if you find that a product starts to take on a rough, shiny, patchy appearance, it is probably due to the fact that oil has come into contact with the surface of the powder via fingers or a dirty brush/puff/sponge. A quick fix is using a dry and clean spooly brush or toothbrush to gently scrape off this residue.